The Howell Melon Fest is a race that I look forward to each and every year. 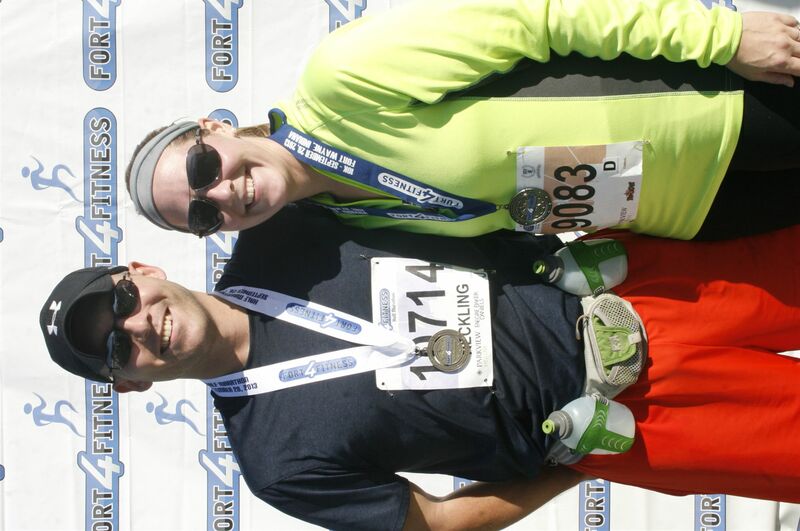 It is not a huge race nor do runners get a finishers medal, but for this race none of that matters. I enjoy running in the Howell Melon Fest because I grew up in Howell and it’s nice to “go home” and run a race with family and friends. 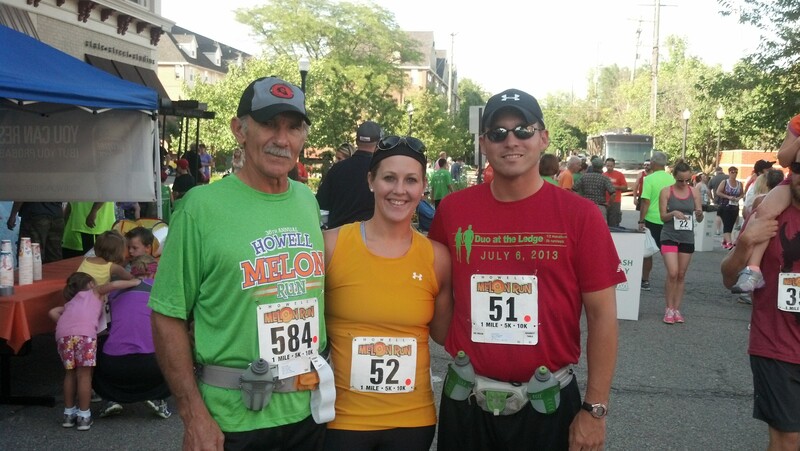 My Dad, myself and Mark before the 2013 Howell Melon Fest Run. 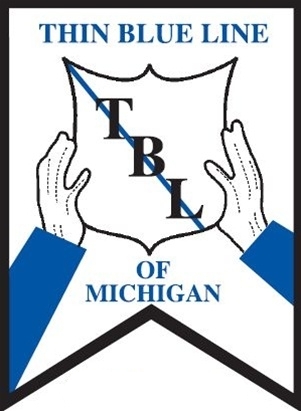 I initially signed up to run in the 10k; however, since I have been struggling with my IT Band I have only been able to run about 3-4 miles before my IT Band begins to flare up. 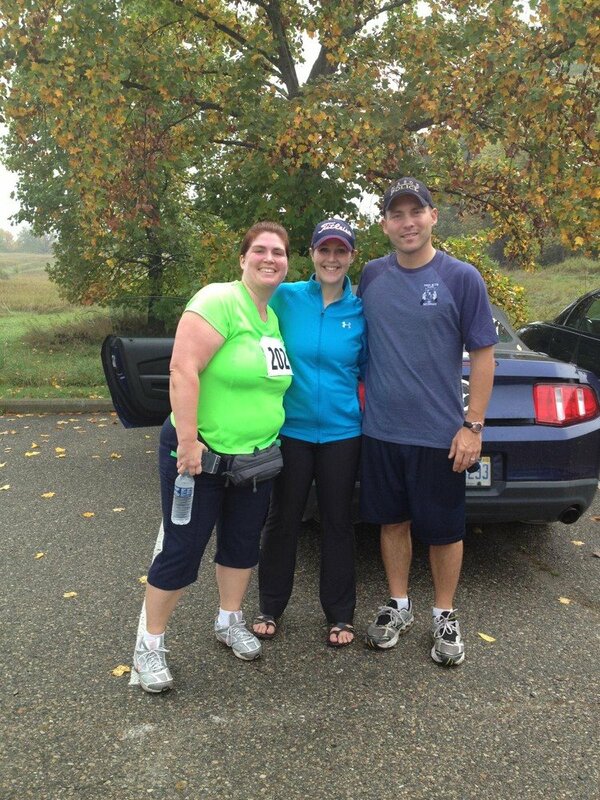 So, instead of pushing myself to far I dropped down into the 5k. (Luckily, after switching shoes and taking it easy for a few weeks my IT Band has really improved and now I can get back on track with my marathon training!) Mark and Dad were both running in the 10k. 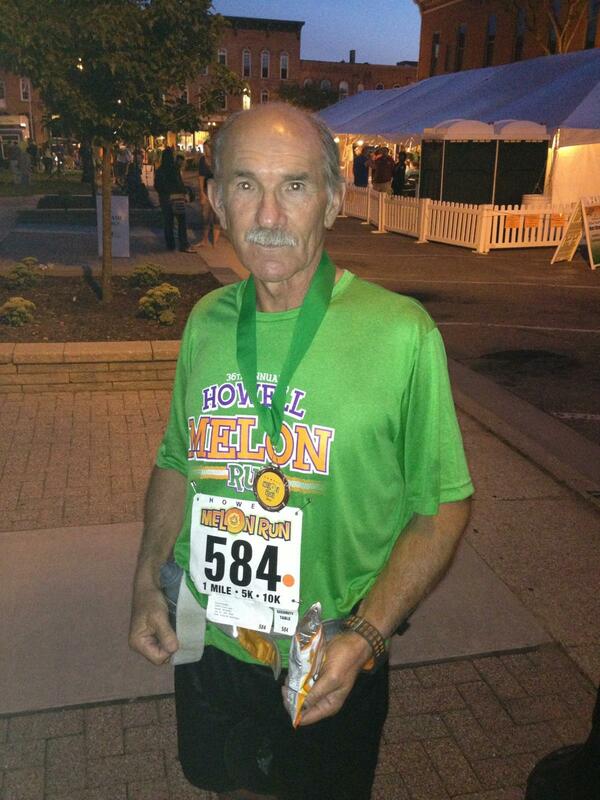 This was Mark’s first year running in the Howell Melon Fest and he learned that this track is no walk in the park – no pun intended. 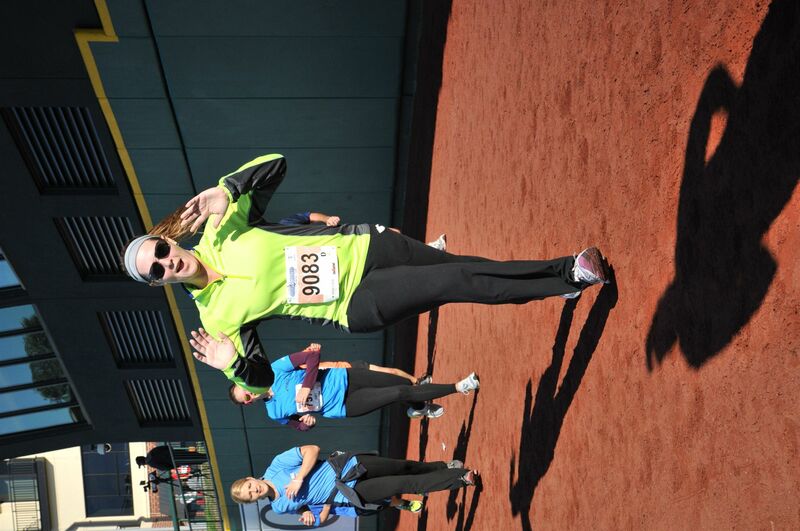 The race starts off on a nice and easy with runners heading downhill (awesome, right!) 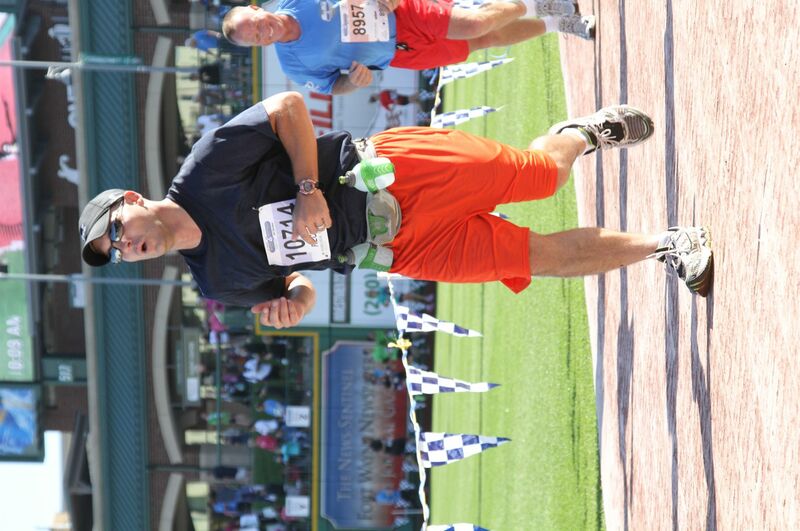 but then about 3/4 of a mile into the race all hell breaks loose. At that point the track turns into the cemetery by Thompson Lake in downtown Howell and goes back along the lake where you end up running a half mile on a single wide off-road trail path followed by an other half mile on a gravel two track road, where you head back towards downtown Howell. When you hit the off-road path you really have to go from running to a quick jog as you watch each and every step you take. Holes in the path, massive rocks jutting out of the ground, huge pine cones, loose wood chips, massive tree roots half exposed, etc are just some of the dangers you will encounter throughout this portion of the run. Luckily for me I only had to run through this once, whereas the 10k runners had to do this twice — as the 10k route is just a double loop of the 5k course. Mark and I started the race together and ran the first 1/2 mile together before Mark took off (of course he runs faster than me, lol)! I was really worried about how my knee would feel but after the first mile my knee felt great and I was able to pick up a little bit of speed. I ran what felt like a quick second mile, until I hit the hill coming out of the park towards the end of the second mile. Although I was able to run up the hill, I did end up having to walk for 20 seconds in order to catch my breath once I reached the top of the hill. Around the 2.5 mile point I begun to have some bad runners stitch in my right side, which was painful. Knowing I was running a good race I mentally forced the pain away, buckled down and told myself I was going to finish strong. Finishing strong in the Howell Melon Fest is not an easy feat — as the race ends by running up the same hill we ran downward to start the race. 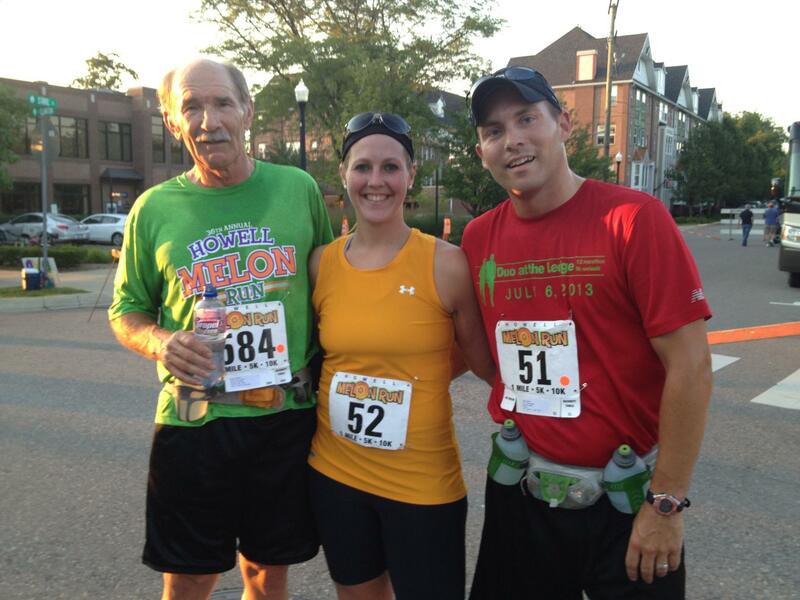 My Dad, myself and Mark after the 2013 Howell Melon Fest. It still amazed me how there are races in which I still learn that running is more mentally challenging than it is physically challenging. 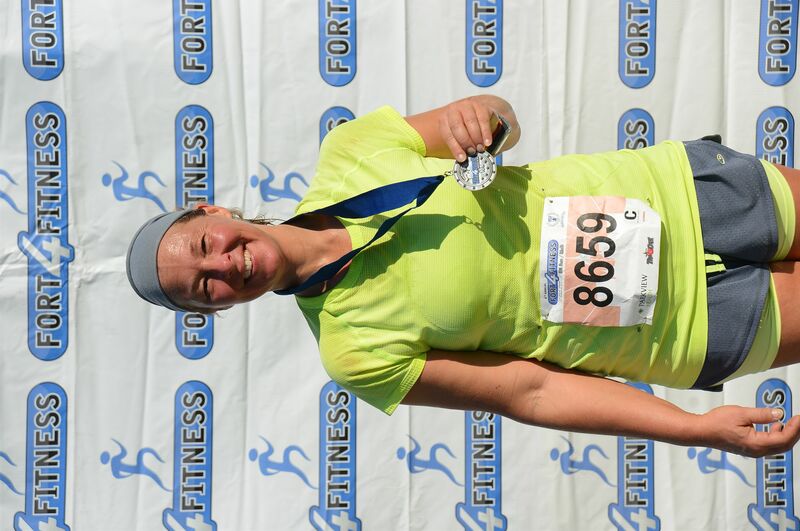 Forcing myself up the hill at the end of the race was a huge mental challenge for me. My legs kept begging me to stop running and walk; however, I forced myself to give it everything I had and run as fast as I could the last 1/10 of a mile. 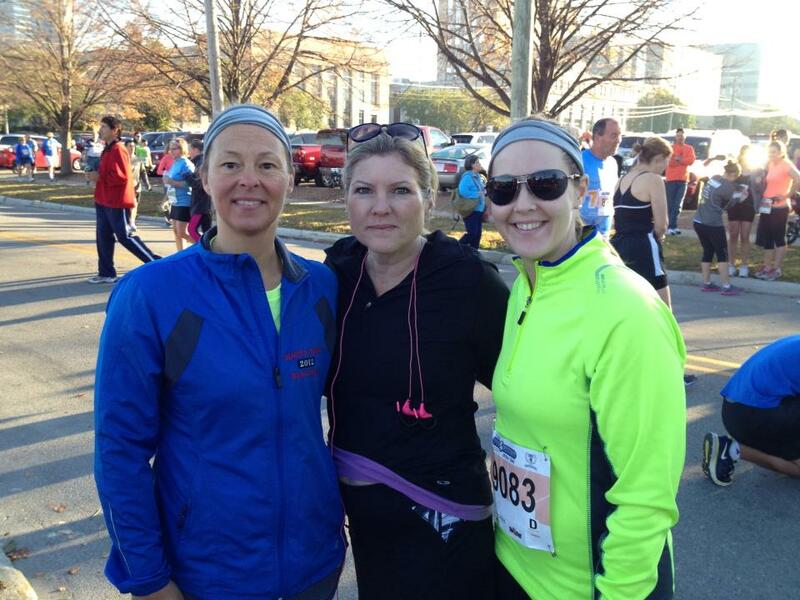 Although I did not PR I felt great and in the end I had what I consider a great finish time. Mark didn’t PR either; however, he was happy that he was able to keep his time under 60 minutes for the 10k, specially with the course conditions. 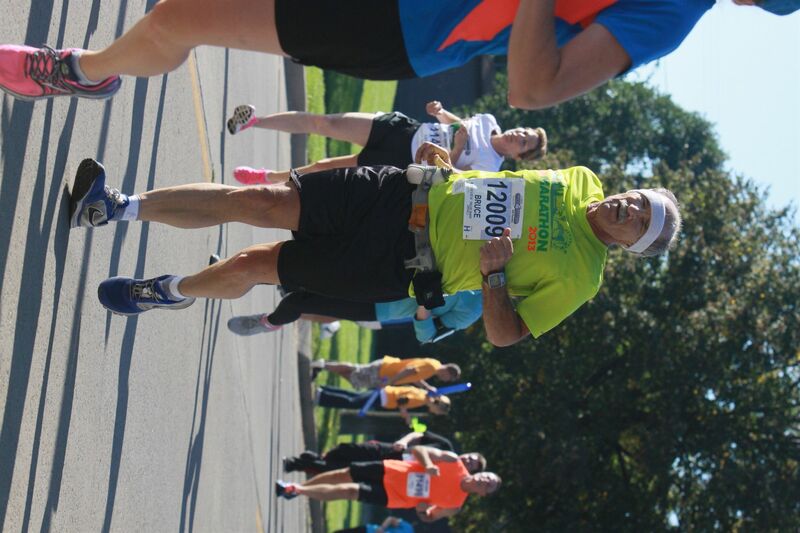 Dad didn’t PR either; however, he did take 3rd place in his age group! Dad with his 3rd place medal! We had the best cheerleader/sweater hold for the race as well! 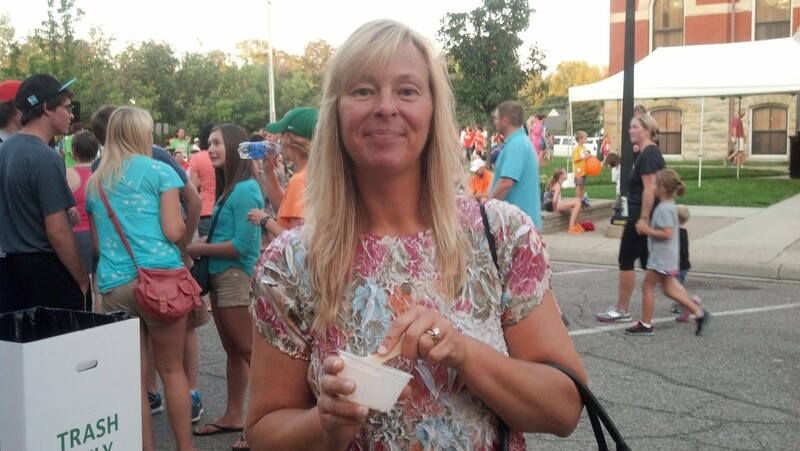 Mom didn’t run the race this year due to a calf injury — so she came along to cheer-lead — and to eat my Melon Ice Cream!